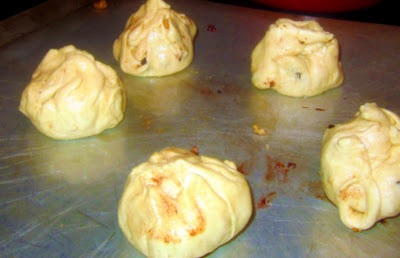 Jackie Fo: Baked Bries - Mini! 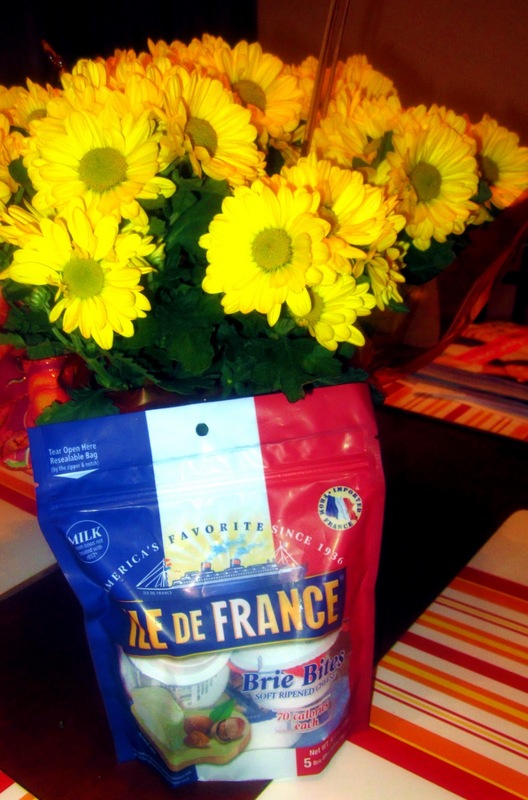 Gouda, Cheddar, Fontina and more...Oh cheese, oh cheese it's you I adore! Do you like my cheesy jingle? I hope it truly displays my love for cheese. If that didn't get the point across, check out one of my previous posts: Ode to Brie. No, your eyes are NOT tricking you, those are MINI Bries! You see, brie cheese is not a health food. So, when Mr. Fo and I split a wheel of Brie, I feel guilty. And large. Portion controlled Brie at 70 calories a pop? Yes please. Plus, they are just so adorable. 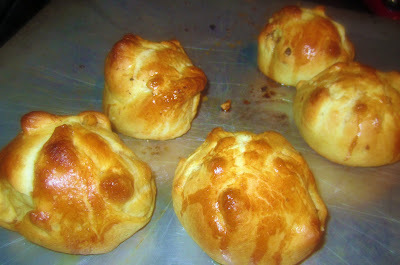 I knew I had to try something - Mini Baked Bries! A girls night last weekend was the perfect opportunity to showcase my new find. Individual Baked Bries for each guest? Coming right up! Look for this packaging in the specialty cheese section. It comes with 5 mini Bries per package. To scale...doesn't my hand look giant compared to these miniature cheeses?! I decided to do a version of Paula Deen's Brie en Croute. 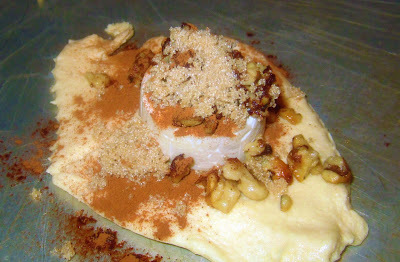 The combination of nuts, cinnamon and brown sugar is perfect for fall and makes a pretty presentation. First step: Toast your walnuts in melted butter until golden brown, add cinnamon to the nuts and mix. 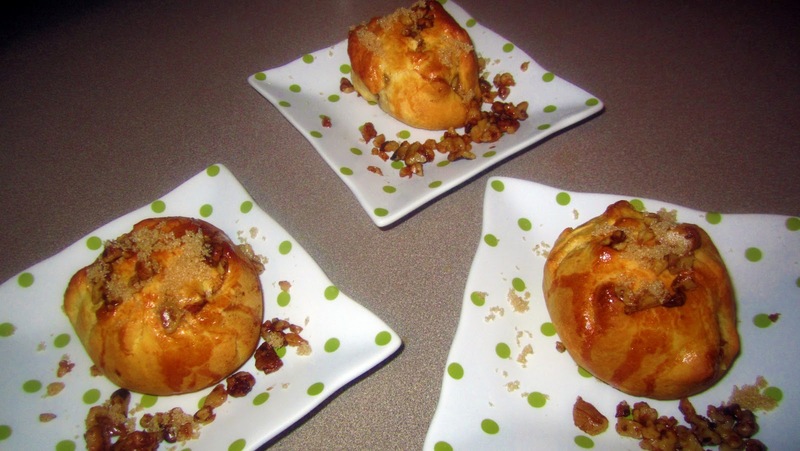 You can use phyllo dough, or you can use Pillsbury Crescent rolls. I prefer the Crescent rolls because they are so easy to work with. One tube of Crescent rolls is the perfect amount for the package of 5 Bries. Tear off a piece of Crescent (doesn't have to be a perfect square) and place your brie in the middle. Layer the nuts and brown sugar, plus extra cinnamon if you like. There are no exact measurements here because let's face it, everyone needs more brown sugar in their lives. 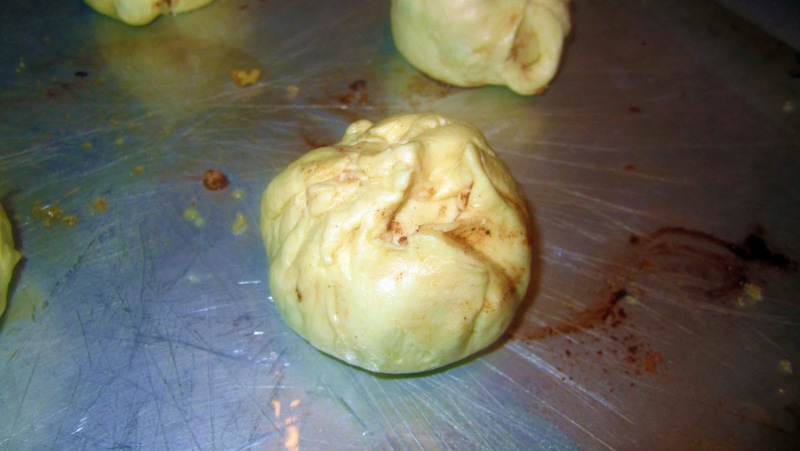 Brush the dough with a beaten egg before baking so it gets that pretty golden brown color. Bake at 375 for about 15 minutes. 15 minutes gives you a gooey center, but it's not spilling out and greasy like the brie can sometimes get. How gorgeous are these?! 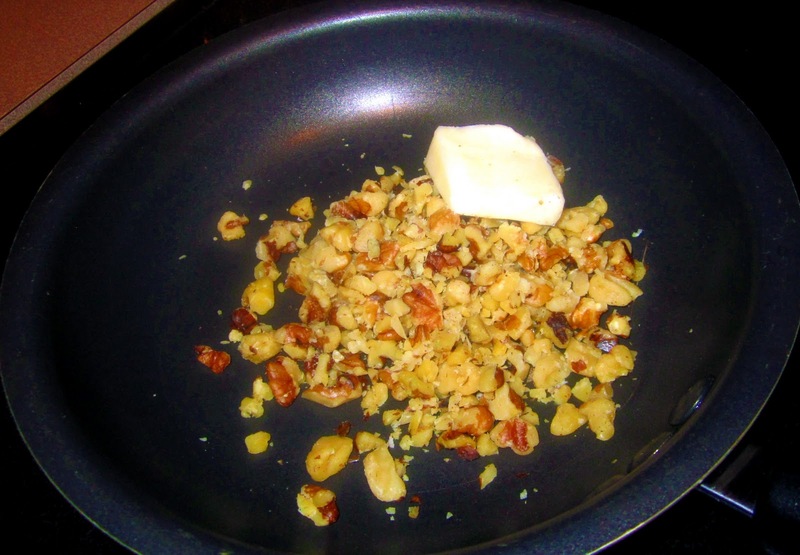 Decorate your plate with nuts and brown sugar and serve immediately! You can serve with crackers, or honestly, this can be eaten with a fork! The possibilities for these mini Bries are endless. Having a dinner party? Serve your guests their own baked brie. Impress your guests with this incredibly easy and fabulous appetizer. Or, just buy the mini brie and eat them as a snack. 70 calories never hurt anyone. Thanks to mini brie cheeses for making me ridiculously happy! oh this is a great idea! i usually grab some from the local grocery deli and serve with crackers! love them! Jackie, I love love love this. 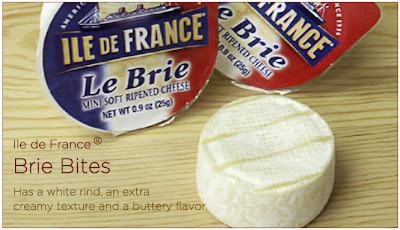 I haven't bought the mini brie yet, but this is inspiring me to try them! Freakin' awesome idea! I love these and they look SO good! Yummy! Everything looks adorable in miniature...and this is no different!